If you are in need of a good basil substitute then look no further. 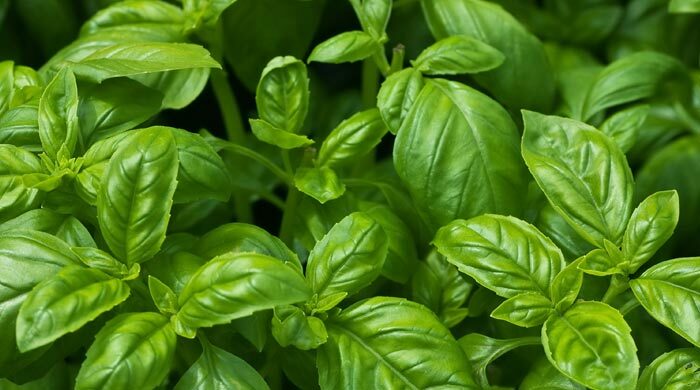 There are quite a few replacements for basil depending on the dish that you are cooking. Many recipes call for basil. It’s a sweet-tasting herb that is popularly used in Mediterranean-style dishes. You might see it in stir-fry, pasta dishes, and salad dressings, among other recipes, because it is an incredibly popular and versatile ingredient. Due to its popularity, if you find yourself without it when trying a new recipe, you might feel disheartened. There are, however, several substitutes that you can use in your dish that won’t alter taste too much. Oregano has a similar taste to basil and is also often used in Mediterranean dishes. It may add a little bit of an extra peppery or spicy taste, but its uses are pretty similar. When using oregano as a basil substitute, consider using the dry herb as opposed to fresh leaves. This is because the fresh leaves can offer a more pungent flavor and can completely change the profile of the dish. Try starting with about half of the amount of oregano compared to basil and adjust it to taste. Thyme is slightly earthier than oregano but still works as a possible basil substitute in most recipes. If you are thinking of substituting basil for thyme, consider using fresh thyme instead of dried. Celery leaves are often discarded but little do people know that they can actually come in handy for flavoring your recipes. Celery leaf is the perfect substitute for basil and works even better in Mediterranean dishes when mixed with fresh parsley. Cilantro also offers a great alternative to basil. If you are using cilantro in a pesto sauce or Asian cuisine, it can add an extra kick that basil does not supply. This can add a nice balance. Cilantro is the same plant that yields coriander seeds and offers an exotic, delicious flavor to its dishes. If you’re looking for a basil substitute to use in an Asian dish, mint might be a good alternative. To have the best effect, use a milder-flavored mint leaf and cook it longer than you would cook the basil. Combining mint with other basil substitutes such as cilantro or celery leaf can add an extra kick to your dish and round out the flavor. Rosemary also comes from the mint family. It should be noted that rosemary actually produces a more pungent taste than the mild flavor of basil. This means that you should use less rosemary in the dish than what is required for the basil. Consider adding the rosemary with other herbs and spices to round out the flavor a bit more. It is suggested that you start with just one-quarter of the amount of rosemary to basil and increase according to the flavor that you are trying to achieve. Fennel sometimes offers a licorice-type flavor. This is usually used as a vegetable as opposed to an herb replacement so fennel would work best in an Asian-inspired stir-fry as opposed to some of the traditional Mediterranean dishes that call for basil. « Onion Powder Substitute – What to Use?